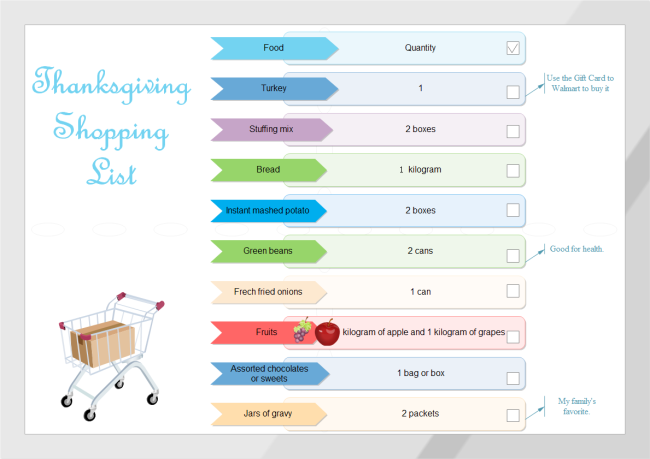 Description: A free customizable shopping list template is provided to download and print. Sometimes you need a shopping list to help remember the things you want to purchase. You can find a large collection of similar list shapes in Edraw, all of which are elaborately designed and easy to customize. Use them to present your ideas.